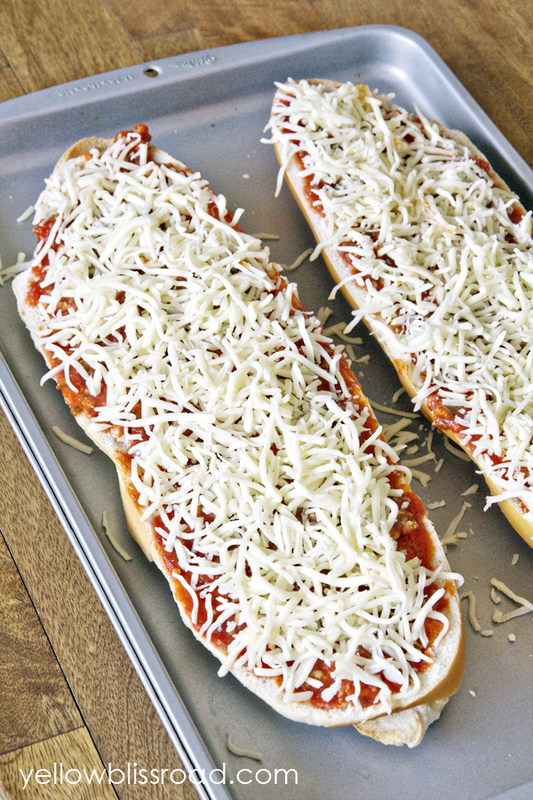 If you’re looking for a quick and easy meal that’s ready in under 20 minutes, your family will love this French Bread Pizza recipe! 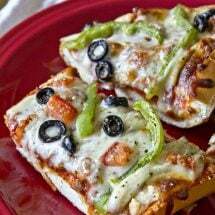 Plus it’s super easy to customize with your favorite toppings! Quick and easy is the name of the game when it comes to feeding my kids. They don’t need or want extravagant meals to keep them satisfied. 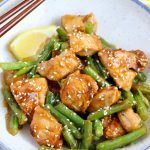 But if I can manage to make one of their favorite foods just a little bit healthier, and still prepare it in under 20 minutes, I’m happy! 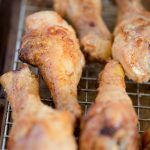 Whether you are a stay at home mom or a working outside the home mom, you don’t want to spend all of your free time in the kitchen. 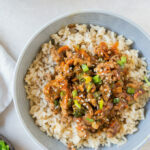 I’m working on switching up some of our favorite recipes to be able to have dinner on the table in 20 minutes or less. 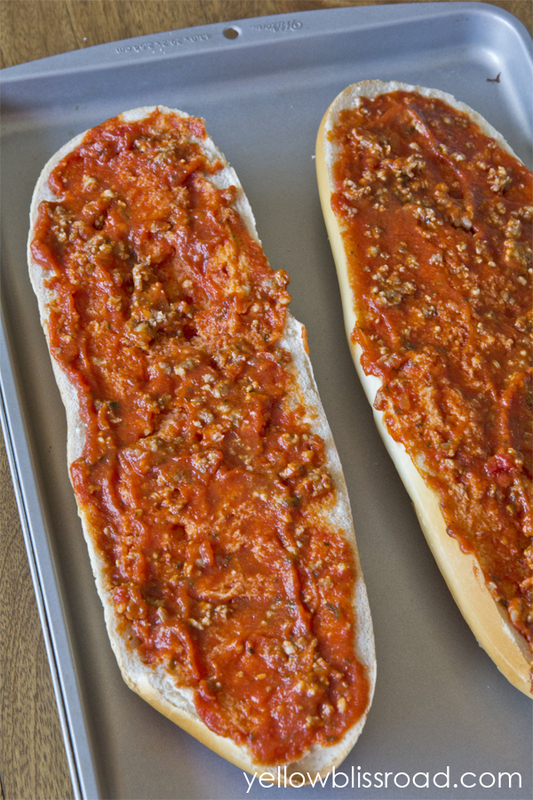 Start by slicing a loaf of french bread in half lengthwise and smothering on some delicious pizza or spaghetti sauce. I meat on my pizza, so I’ll add that right into the sauce to keep it from falling off the pizza, like I did with the Italian sausage. 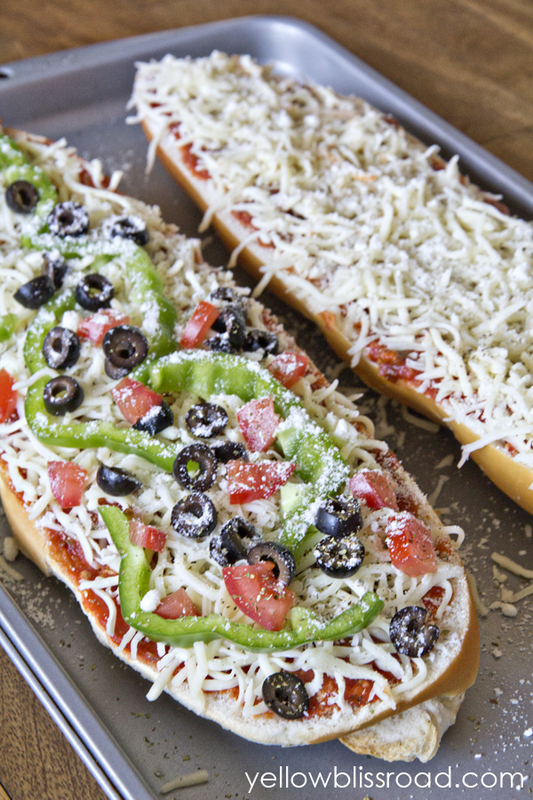 Next you’ll add the toppings – cheese, veggies, pepperoni – so many possibilities! 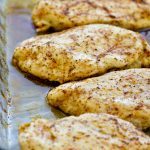 To finish it off, sprinkle with some Parmesan Cheese and Italian Seasoning, then bake in a 350 degree oven for about ten minutes. Perfection! Slice french bread loaf in half, lengthwise. Spread each half evenly with spaghetti or pizza sauce. Add your favorite pizza toppings. Sprinkle with Parmesan cheese and Italian seasoning, if desired. Bake in a 350 degree oven for 15 minutes, or until cheese is bubbly and starting to brown. Allow to cool (and for cheese to "set"), then slice, serve and enjoy! 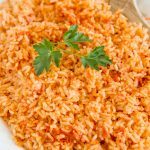 Do you have a favorite quick and easy go-to meal? 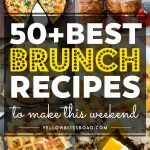 Leave it in the comments or email me a recipe or a link to your post. I’ll be sure to link back to you if I try the recipe! 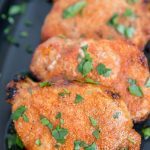 I really like your easy, tasty, and quick meal ideas! 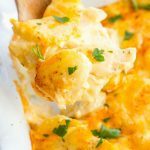 I’m a mom of four under eight years old and always looking for quick and easy! This will be a great recipe to make the nights I have class! Thanks for the recipe Kristin – looks so yummy!! Making me hungry just looking at it! Love homemade pizza. I’ll have to try it. 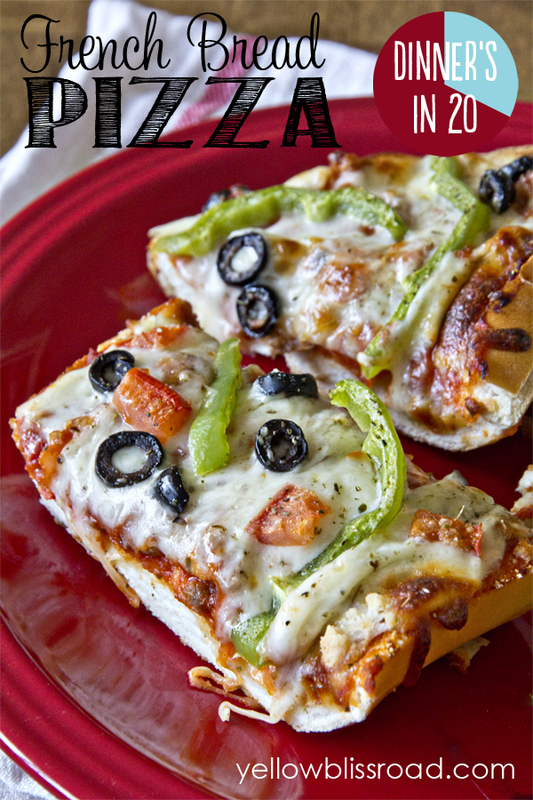 Yum… one of my favorite types of pizza! oh yum. 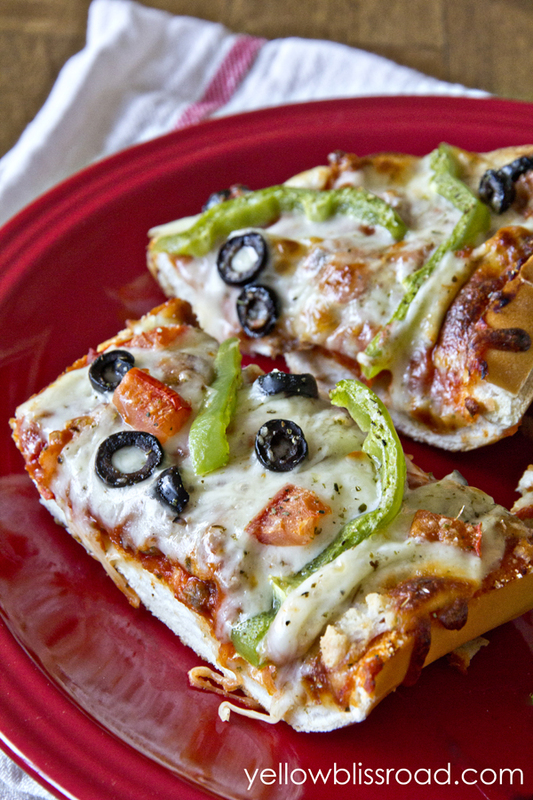 french bread pizza is one of my favorites! ohh.. Kristin!! I cant wait to try this with my daughter!! I know she would love making these.. and I would love eating them…lol.. Thx for posting! !